At All Glass and Aluminium Fencing our aluminium covers and enclosures are made from extra tough, weather resistant aluminium and powder coated to a colour that suits you. A full range of traditional colours are available as well as dynamic metallic and special finishes. Custom made panels and doors can be made to size to fit any objects that you may have for example a pool pump housing may require a hinged roof for easier access to the top of the pump. 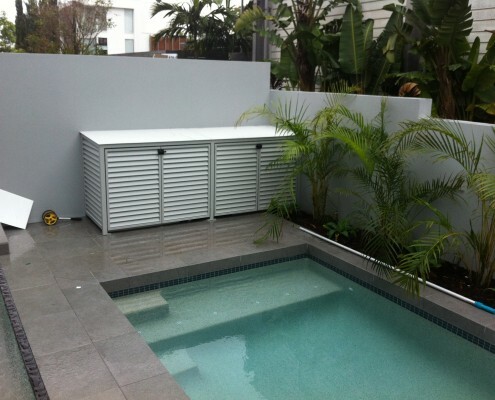 Aluminium covers and enclosures are great for housing things such as unsightly wheelie bins, pool pumps, air conditioner units and for general outdoor storage. 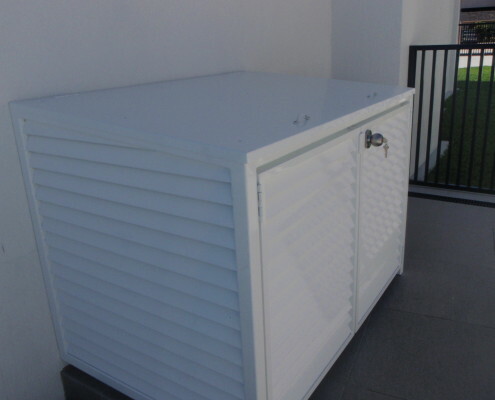 Our air conditioner and pool pump enclosures will also greatly reduce noise pollution from your backyard while keeping the unit well ventilated. 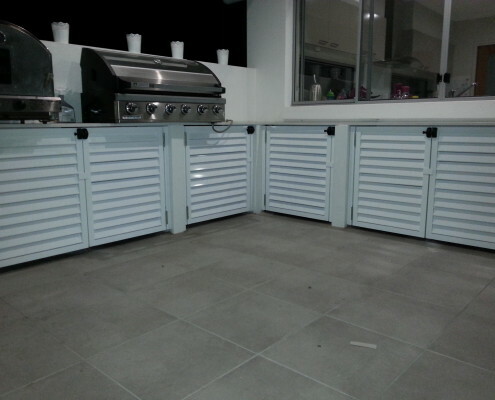 We only use stainless steel hinges and fixings for a great additional look and to prevent rust.